Just like the artwork you display around your home, tattoos are artwork you display on your body. 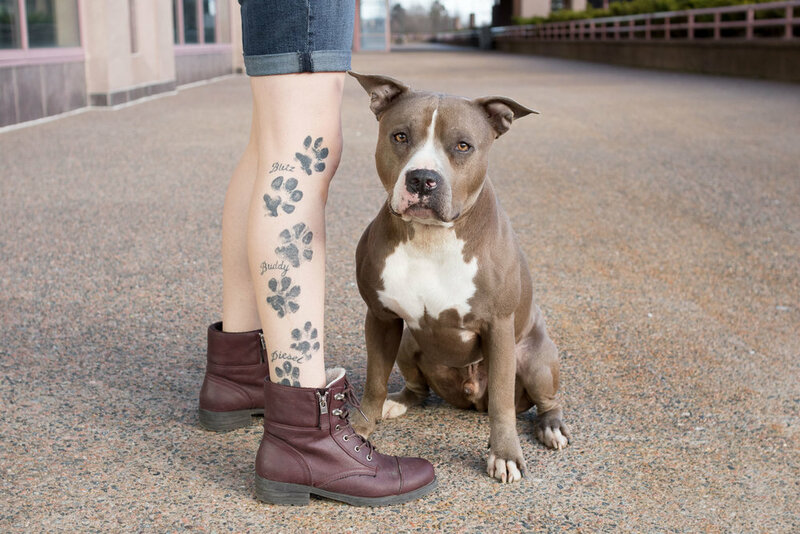 We get tattoos of things that mean the world to us. They’re unique and personal, and they were created by an artist who spent years developing their specific skills. Each one is a work of art! I love seeing people who display their very favourite things on their skin. It shows the passion, love, and dedication with which they live their lives. 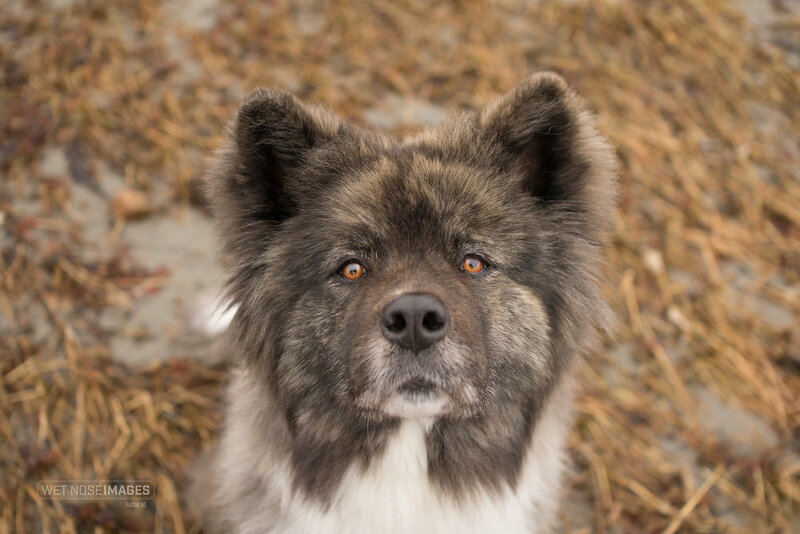 Beautiful Lola the Akita had her session in January - she loves the cold weather! We went to Fisherman’s Cove in Eastern Passage where we hardly saw a soul and practically had the place to ourselves! We used the boardwalk, the beaches, and the tall grass… and Lola was a rockstar (she takes modeling just as seriously as Ruby does). For those dogs who love winter, this is the perfect time of year to have them photographed. They’re comfortable with the temperature, and they’re so happy to be out exploring! And just like with 90% of Wet Nose sessions, Lola was on leash in every photo and I removed it during editing. I want all pups to be safe while I’m photographing them, and we obey the laws for the locations we use. So if your pup doesn’t have reliable recall, don’t let that hold you back from booking the session you’ve been daydreaming about! What is A Reveal & Order Meeting? After your session has taken place at your favourite location with your favourite pups we will schedule your Reveal & Order meeting! Next to the session itself, this what my clients say is the most exciting part of the Wet Nose experience! It's the day they get to see the final images from the session for the first time and decide which ones they want to display in their home. By the time the Reveal meeting arrives, you and I have already discussed the wall art and album options that I offer and you've been envisioning how you want to display your images. You've received my pricing guide and we've talked about general sizing and grouping options for portraits on the wall. But this is the big day where it all finally becomes real! We meet up at a quiet coffee shop, grab a warm drink, and sit down together. I turn my iPad towards you, and there is your pup’s beautiful face on the screen. This is usually when I hear a squeak of delight and your hands fly to your face. Those furry faces are your absolute favourites and you've been so excited for this moment all week. As the images slowly flip through in a slideshow, you "ohhh" and "awww" over them. We get to the final image… and and you start to wonder how you're ever going to decide on your favourites. But don't worry! I'm here to help. We look through the images a second time and mark each one as either Yes, Maybe, or No. That way you'll have a collection of Yeses and Maybes and we'll just concentrate on those ones as we move forward. We then talk about your favourite product options again. I offer beautiful floating prints, acrylic prints, and framed canvases for the wall, as well as luxurious coffee table albums. You tell me you've always loved canvases, and you think your parents would love a floating print for their home (can't forget the grandpawrents! ), plus you've also been eyeing the coffee table album I brought with me, too. I show you what a few of your Yes images will look like on your own wall - you’ve given me a picture of your living room so that we can select an appropriate size for your space. You decide on one that fits the feeling and the colors of your room best! There's another sweet image that you choose for your parents' Christmas gift, and by this point you just know you need that album so you can take home the rest of your favourites. The 15-image album is the perfect fit because you ended up selecting that many images in your Yes pile! I will design the album to fit all the portraits beautifully, and it will be ready for you in a few weeks. Today might have felt like Christmas... but just wait until you have these products in your hands! Taking photos of your dogs is so important - they are our family and they are loved fiercely. Even if you're taking photos with your smartphone, it's still so important! We never know what life has in store for us and you don't want to regret not taking more photos of your sweet pups. Of course, when you also have the opportunity to hire a professional photographer, that's even better! Decorate your home with photos that bring you joy and celebrate the special souls you cherish. This year the Ambassadog program has gotten some exciting upgrades!! My Wet Nose Ambassadogs are year-long brand reps for my business and they get one heck of a fun experience out of it! 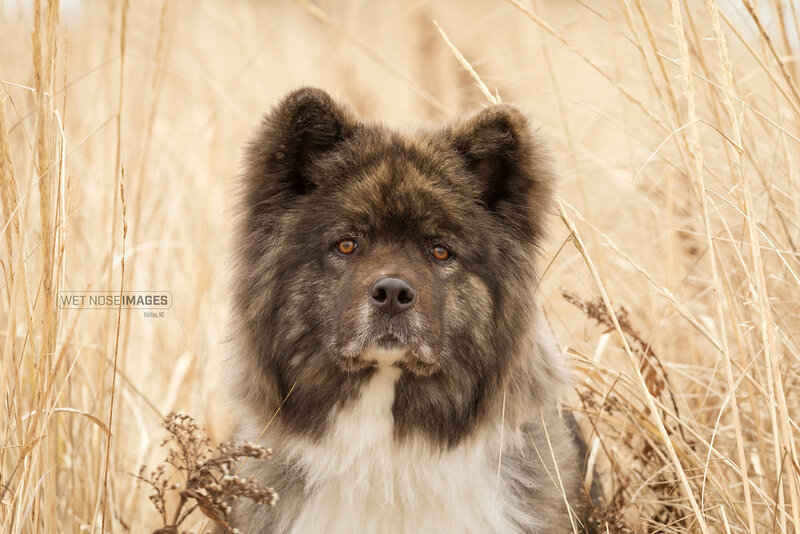 Each pup is treated to their own complimentary portrait session, along with a bunch of awesome perks. One of the best new perks is that we all meet up for several group photo sessions at fun and unique locations during our year together. This gives the dogs an opportunity to play together, it allows the owners to get to know each other, and it's great for us all to just spend some time together and create more portraits! For our first group session we visited the graffiti walls that I love in Dartmouth. Three of my Ambassadogs joined me for this session: Dante, Haven, and Ember! It was great practice for them to explore a new location, work on their sit/stays, and have fun being silly together. 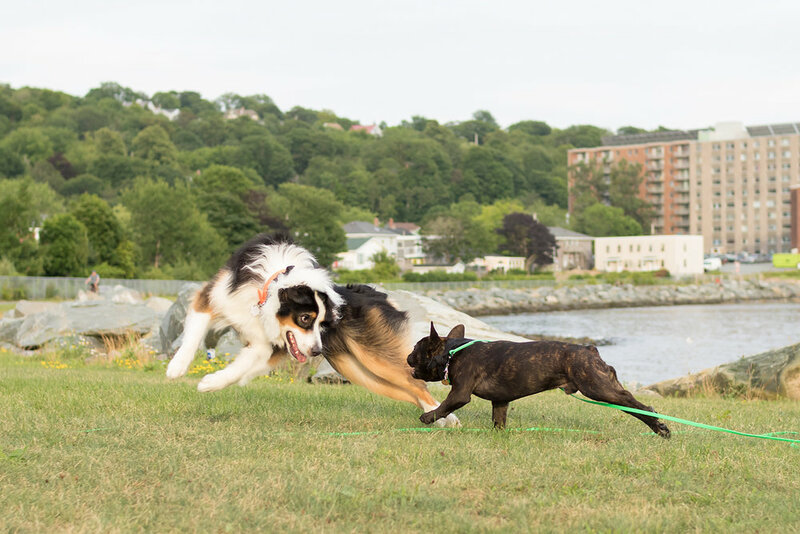 Dante and Ember (Frenchie and Mini Aussie) became best buds right away and zoomed around the grassy area. 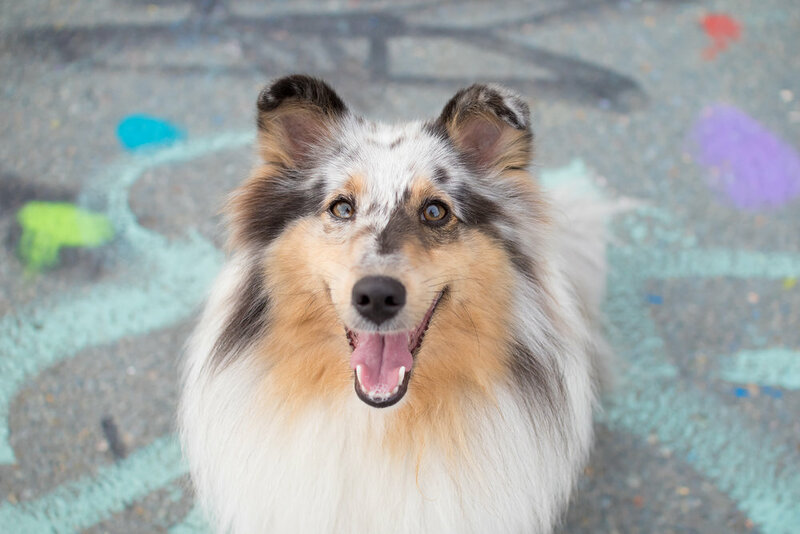 Haven the Sheltie is a bit more reserved, but we got her running soon, too. At one point a train came by, about 30 feet from where we were, so all the pups practiced their sits and waited for it to pass. Two people walked by us and one remarked, "This must be an obedience, class, is it?" I told her, "Nope, it's a photo shoot!" and she was impressed at how good they all were. That always makes pup parents so proud to hear. And now for the best part... here are my favourite images from this group session! 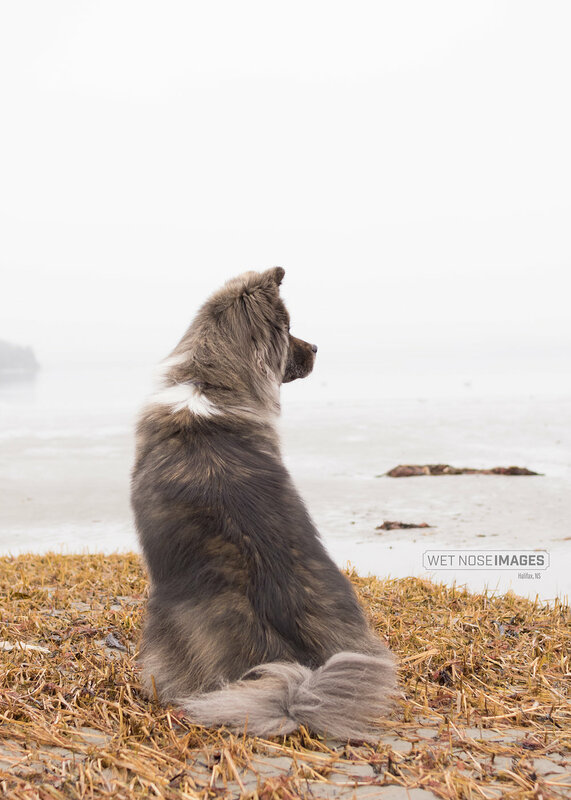 You know you want in on this: you’ll get exciting updates, event details, and blog posts from Wet Nose Images! On a beautifully warm summer evening last year, I headed out to Peggy's Cove to meet up with Azalea, Leon, and their mum for a special East Coast photo session. 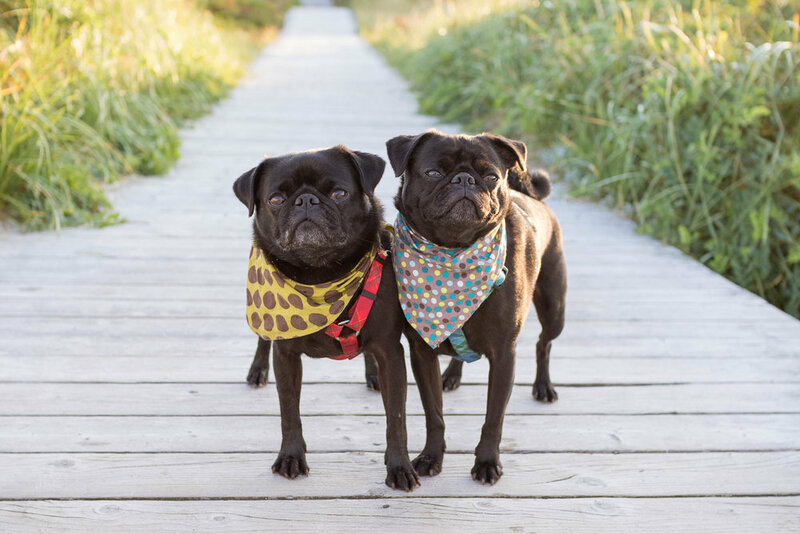 Their mum wanted something that was quintessentially Nova Scotia so that she would have these photographs of her dogs to look back on, if someday their adventures took them to a new province. Peggy's Cove was the perfect choice! 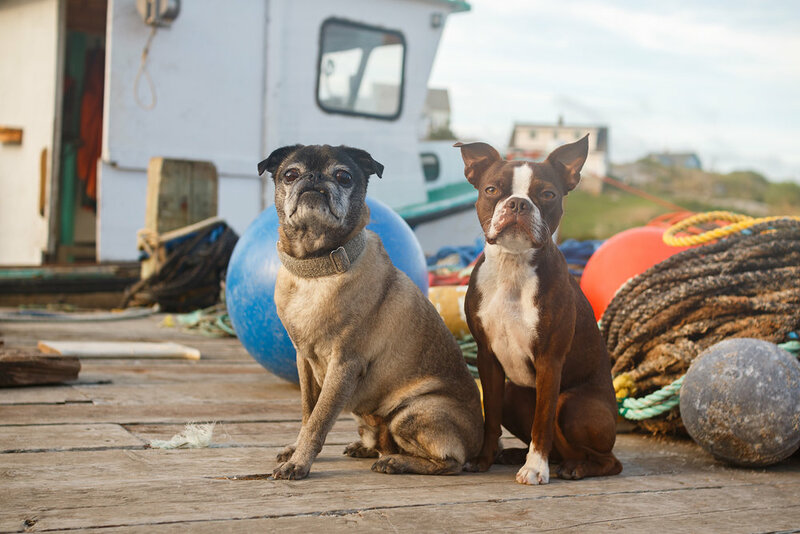 Azalea the Boston Terrier is full of sass, and Leon the Pug is deaf and nearly blind... so they make a unique but very loving duo. It's adorable to see them together (you should follow their mum's account on Instagram, too! @saltydog.petsitting). We started off near the small, colourful houses and shops, and then finished the evening on the rocks with the lighthouse in the background. We did not go anywhere near the black rocks! Not even close. This session was mainly for Azalea, as she is one my Ambassadogs for the 2017-2018 season, but Leon was there to show his support, and I couldn't not include him in a few portraits! What is your favourite place that feels perfectly "East Coast"? Maybe nobody you know has ever had a photo shoot for their dog, so it's unfamiliar territory for you. Maybe you just haven't found the time in your busy schedule for a session. 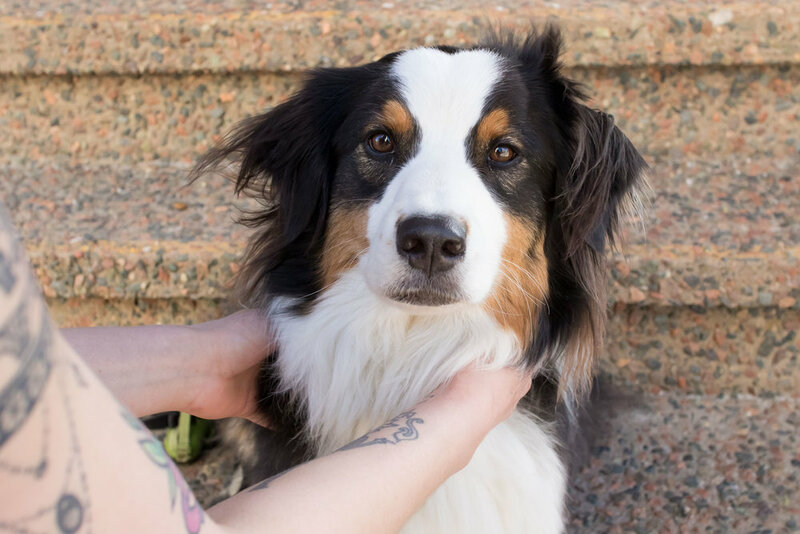 Maybe your dog is nervous around new people, or reactive around other dogs. So you just don't think it would work out. Whatever the reason, you're still waiting. And your walls are still longing for beautiful portraits of your best friend. Your soulmate. Your frito-toed, floofy-eared, wet-nosed little lovebug. They deserve this, and so do you. A special evening for you two to take a break from your hectic or stressful routine. To spend an hour together, seeing them through someone else's eyes. To be filled with pride when they pose so regally for the camera - you didn't know they could do that! So snuggle them close right now and let me tell you about how we do things at Wet Nose Images. How we can make your dreams a reality. It's here! The day you've been counting down to, since you booked it. You look outside and the weather is beautiful, just like you imagined. Whether you chose fall for its colors, winter for it's beautiful white blanket of snow, spring for new flowers, or summer for later sunsets... the weather today is just what you were dreaming of when you chose your date. You get a text and reach over to grab your phone. "Good morning! Today is the day! I can't wait to see you tonight at 6pm for Ruby's session at Lawrencetown Beach. We are going to have SO much fun. - Cassie"
You roll over in bed and there is your sweet pup, asleep on the pillow beside you. Your best furry friend. Your soulmate with a wet nose. The one who understands you completely, even though the two of you don't speak the same language. She opens her eyes to see you, and her little tail starts thumping happily. 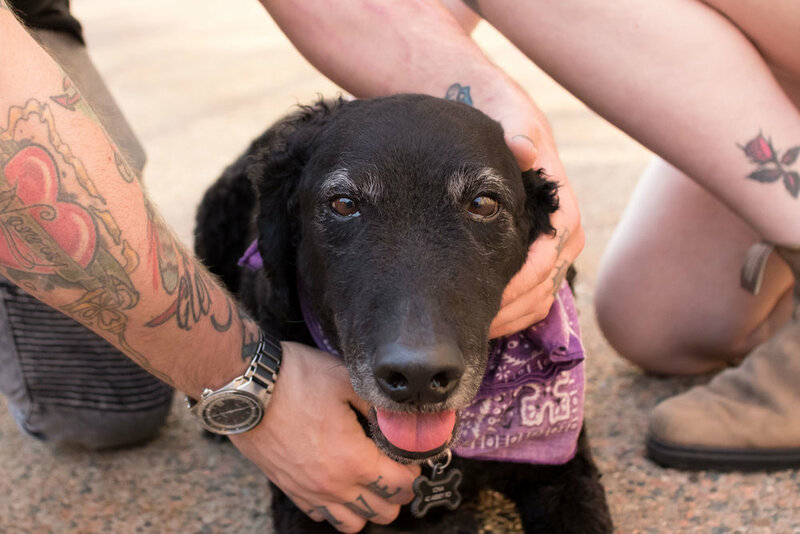 If your pup has longer fur you may have scheduled a groom for today, or a few days prior to your session if you want them looking their absolute best. A little trim and a bath can make a world of difference in how you both feel and how your pup looks in the images. And if you plan to be in a few photos as well, you'll want to think about your outfit. You want to dress for the weather, of course. We'll be outside for an hour together so you don't want to be too hot or too cold. Try to avoid patterns, logos, neons, or other loud colors. 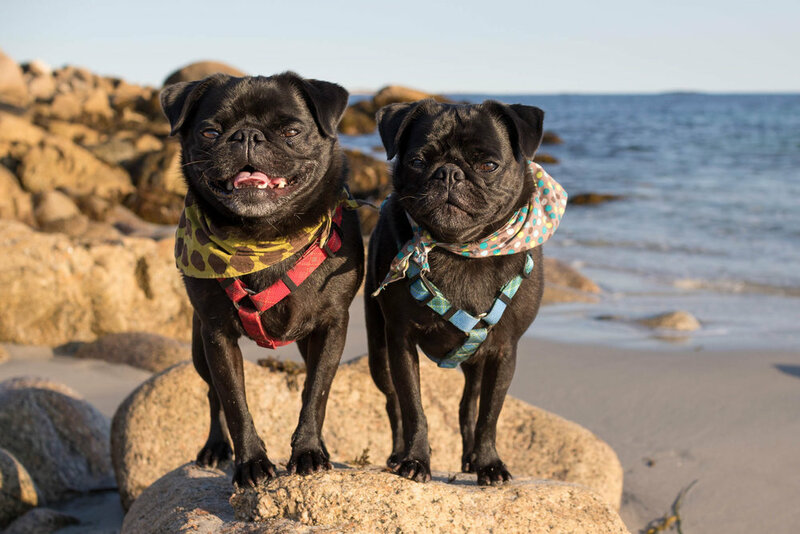 Bright colors in your clothing can actually appear in your pup's fur when you're next to each other, depending on the light. The best choices are solids, pastels, and neutrals. 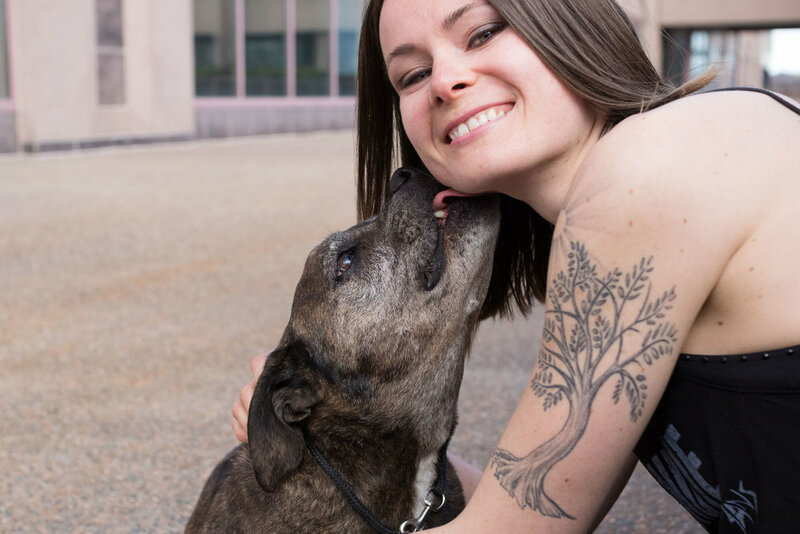 Around 5pm you start gathering everything you'll need for your session: a long leash, their cutest collar, lots of tasty treats, your pup's favourite toy, and some poop bags - just in case! You get yourselves ready and head out to your session location, arriving about 15 minutes early. 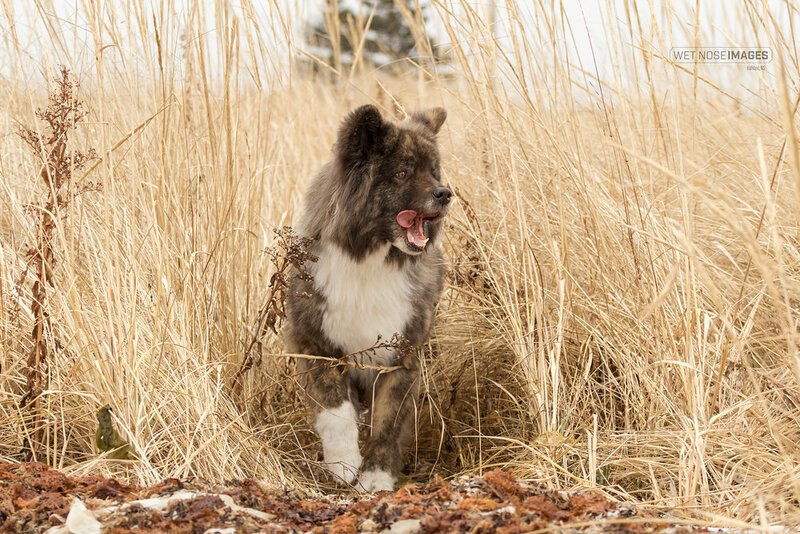 You know your pup well enough to know that new places are exciting (or maybe a little scary) and she needs some time to sniff around and get her bearings. The two of you explore the area a little, and are ready to go at 6:00. That’s when the real fun begins! Now here’s the most important thing for you to remember: RELAX. Wet Nose sessions are no-stress situations. I promise. The more relaxed you are, the more relaxed your pup will be. I will arrive with some ideas in mind (some of my own, based on the location, and some of yours that we discussed in your pre-consult meeting). But mostly we’ll go with the flow! I’ll suggest spots to stop for a pose or stop for some playtime, and if my idea works… great! But if it’s not working out, we’ll move on. No big deal. We’ve got plenty of time together. 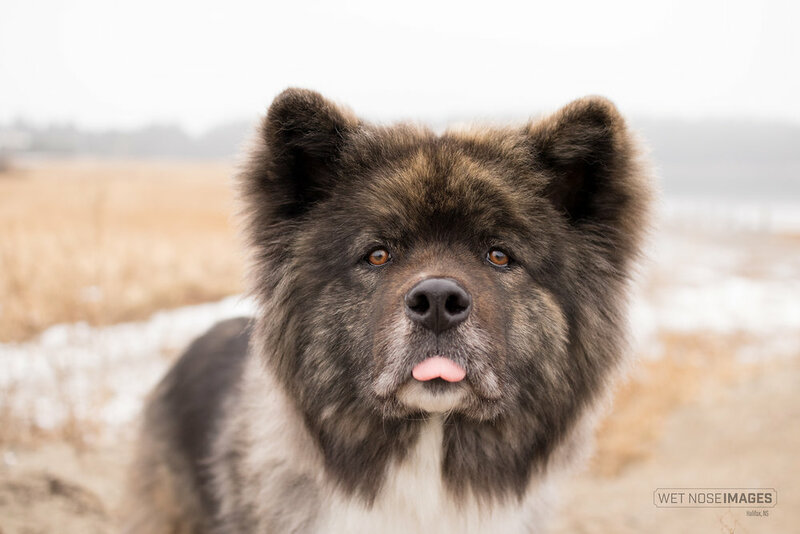 I know that a doggy photoshoot is not something that most of my clients have experienced before, so I’m here to walk you through it! If we come across a cool log that I think would look even better with a majestic pup on top, I’ll decide where I’d like to position myself, where I’d like your pup to be, and where you can stand in order to keep them in position but not be in the shot yourself. I’ll guide you in how to hold the leash to make it easiest for me to remove in Photoshop later, I’ll let you know if I’d prefer your pup to sit, stand, or lie down, and we’ll mix it up. Of course, that sweet pup always has the final say, though. If they’re not interested in being on that log, then we’re done with the log. If they’re getting antsy and need to have some zoomies after being a great model, we’ll find a field and make time for play. I’ll keep everything relaxed, happy, and easygoing. We play, and pose, and chat, and laugh while we explore the great outdoors of this beautiful province. And as the sunset paints the sky pink, I capture a few last photos of the evening, and we pack up to go home. We're new friends now – just like that. What a difference an evening can make. You’ll get to see your pup through someone else’s eyes, and I know from my own personal experience that it fills one with pride. To see how smart, and sweet, and loving your dog is, when you’re introducing them to someone new. It makes your heart swell with joy and love for that fluffy little one. As you drive home with the last rays of the sunset, you glance in the rearview mirror to see your pup has fallen asleep in the back seat, thoroughly exhausted and happy after an exciting adventure with you… her parent, her love, and her whole world. 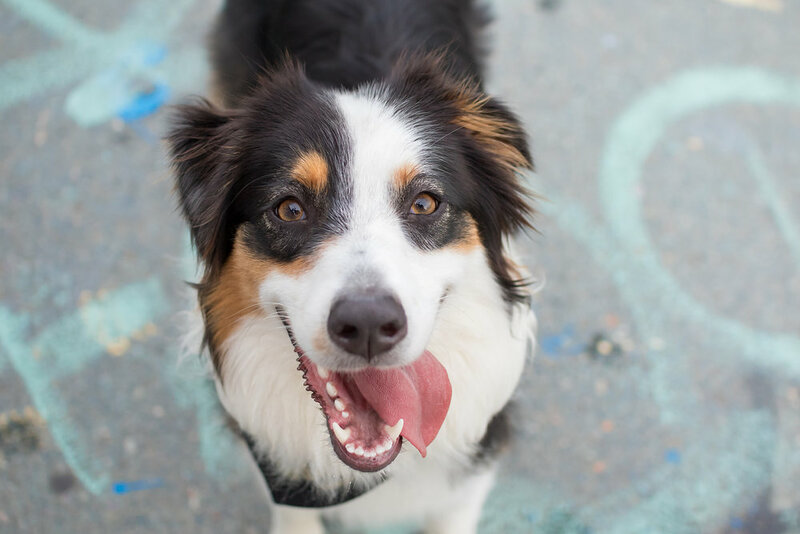 Getting ready for your Wet Nose session will be a breeze with this handy little list. I've compiled 6 tips for my clients to help every session go smoothly and result in gorgeous, wall-worthy images! 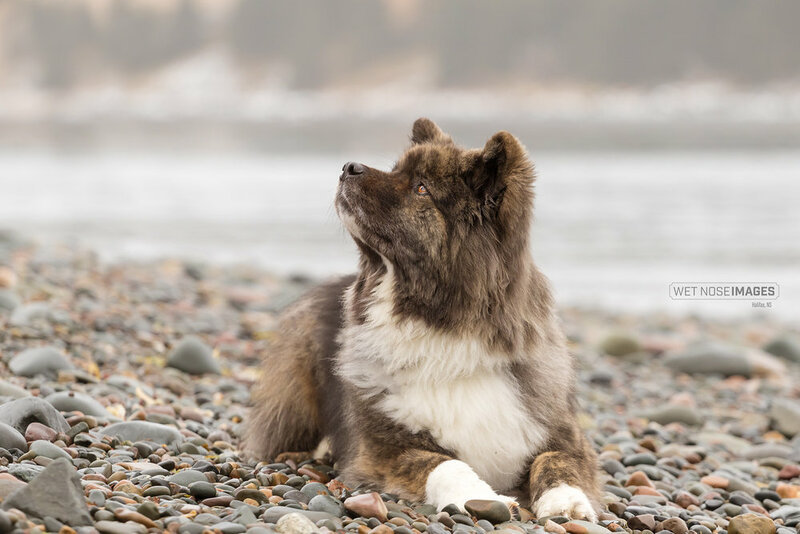 In the week leading up to your session, I recommend that you have your pup professionally groomed, including nail trims, face trims, and/or a brush out if needed (depending on the breed). 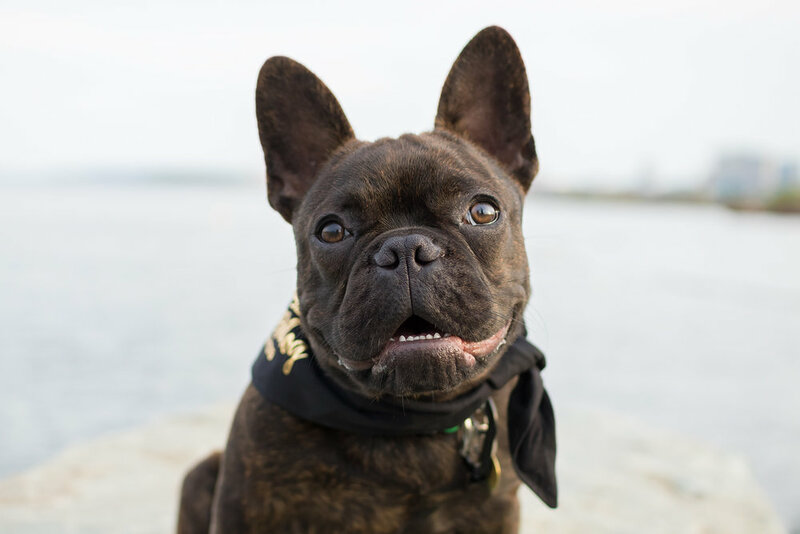 You’ll be keeping these photographs for years to come, and you want your pup to look spectacular! 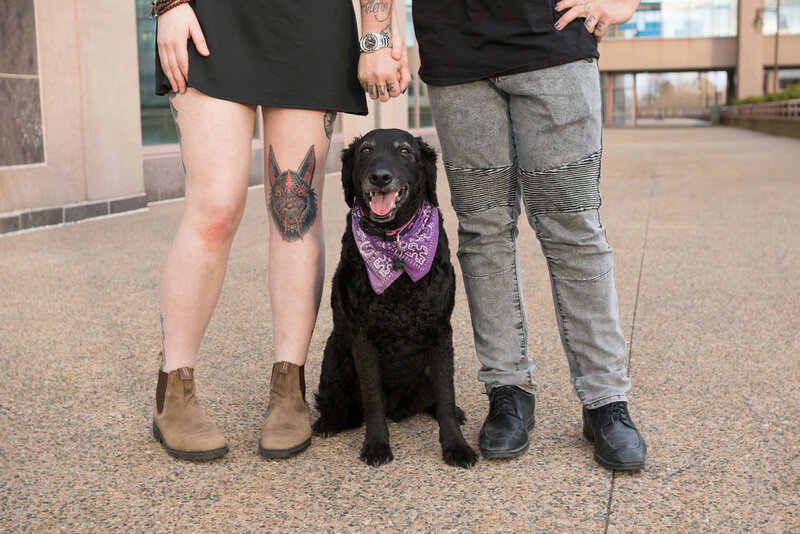 If you’ve requested to be in some of the photos with your pup, you’ll want to choose your outfit carefully for your session. Try to stay away from busy patterns or flashy colours. Even deep blacks or pure whites can be difficult to show nicely in a photograph. I recommend pastels or neutrals for the best results: greys, creams, etc. And you’re always welcome to talk to me prior to your session about your outfit choices and I can help you decide on the best one for your big day! Be sure to bring LOTS of teeny tiny treats for your pup during the session. If his/her usual treats are larger, try breaking them into smaller bits. This will allow us to treat your sweet pup for all their great posing, without worrying about overfeeding them. We want to keep rewarding them when they do what we’ve asked, and we don’t want to run out of the good stuff! Please bring a long, thin leash if your pup will need to stay on their leash during the session. Many of my clients’ pups are on leash - it’s nothing to worry about! I can remove the leash and other distractions from your images when I’m editing. The thinner it is, the easier it will be to remove digitally. And the longer it is, the farther you can stand off to the side if you’re not planning to be in any photos. This allows you to keep full control of your sweet pup, but not be in the frame. 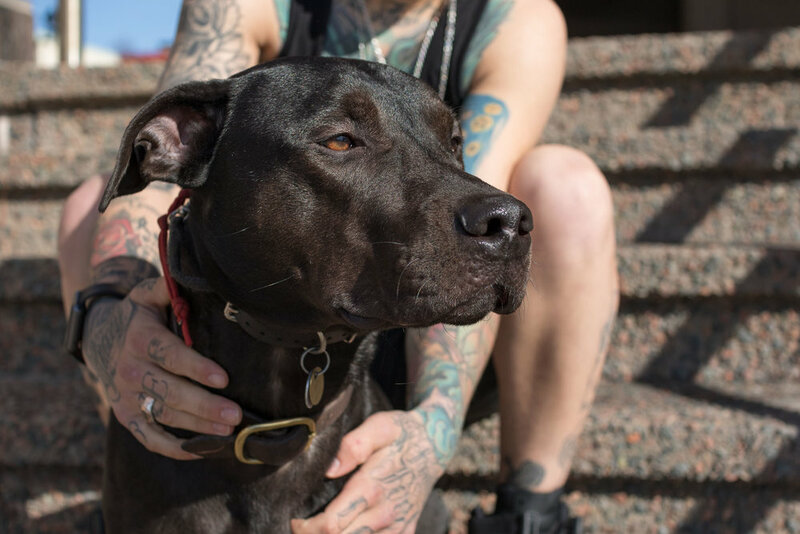 You can also pick your favourite collar for your pup to wear and show off in their photos. I recommend that you arrive 10-15 minutes early to our chosen location, to give your pup a chance to explore the area and get comfortable. And if you notice that they’ve got a lot of energy, you can take them for a quick walk to expel some of it. You can also make sure they’ve had their evening walk at home, if you have time. The more exercise they’ve had, the calmer and more focused they’ll be during the session. And there you have it. 6 simple tips that will make a world of difference for your Wet Nose session! Have some questions? Send me a message and let's get chatting about what I can do for you!